I have not updated the blog after the Sembawang Hills porsche post more than a week ago and, thinking blogging activity would be quite dead for a few more days, was pleasantly surprised to receive an email from NLB. 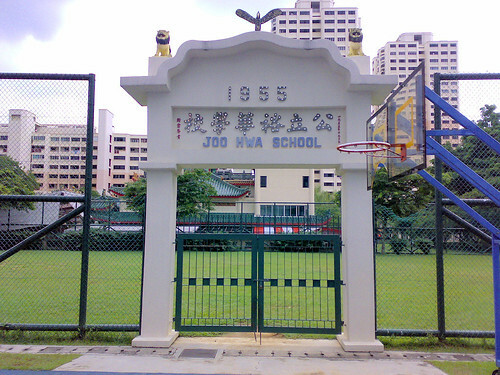 It was regarding a short post I wrote after visiting Yuhua Primary for a project where I found a cute Chinese gateway arch (above photo). NLB is working on an exhibition as part of Yuhua Open House Carnival in May and thought stories and photos on Yuhua would be useful. Examine the characters and lettering in my photo carefully; the name 'Yuhua' does have a longer history than most people realize. They intend to show an excerpt of my story, which I have edited slightly for consumption by a wider audience. The whole story is also on SingaporeMemory.sg portal as they have done the uploading for me. Read it here. Hooray, my first contribution to the Singapore Memory Project though it was contributed not under my account. Indeed this is like killing two birds with one stone. I got my first story up in the SMP, "a national initiative to collect, preserve and provide access to memories and stories related to Singapore", and NLB is well on its way to collect their target of 5 million personal memories. 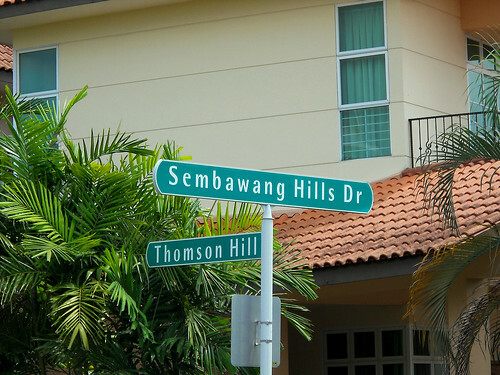 Having solved the mystery of elephants @ Seraya Crescent in Chun See's post, I ventured across Upper Thomson Road to check out Phase 2 of Sembawang Hills Estate beyond the row of shops and the food centre. After a hearty lunch at Tiong Bahru Food Centre, I would usually take a stroll around the neighborhood. The community centre is a good place to escape from the mid-day heat and on Valentine's Day I was back again. 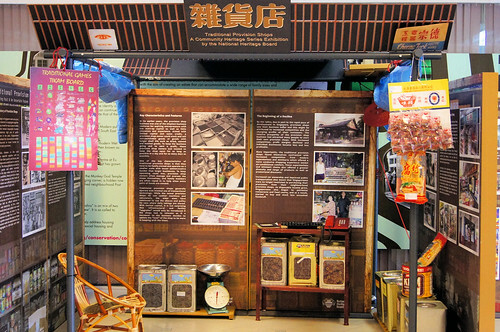 This time round, I was surprised to see a familiar little set-up in front of the centre's history corner. What's with this mock-up of a provision shop? 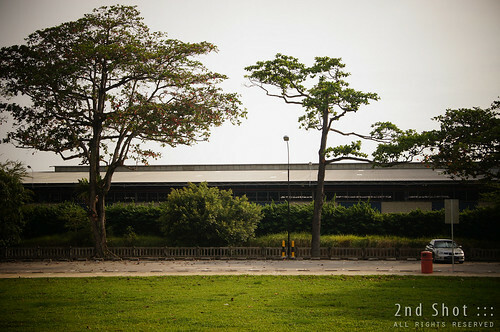 Previously I blogged about the disappearing Old Jalan Kayu Post Office. It is kind of insidious and many may not even realize it; slowly but surely we are losing bits and pieces of our heritage. Small objects disappear too just like buildings. 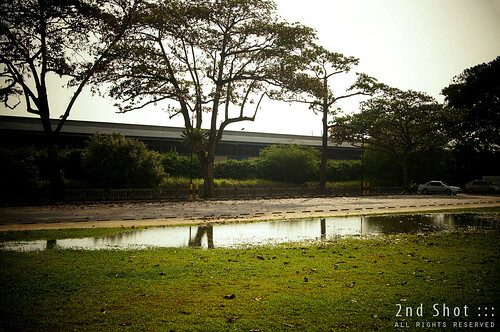 With no fanfare, one relatively unknown cannon had disappeared from a small park in Singapore.